Kenyan based castor company – Biossal, uses castor as a primary feedstock for their local needs for fuel production. The company has entered into an agreement with Kenya Industrial Research and Development Institute (KIRDI), to research biofuel manufacturing processes and castor seed oil yields. The company claims that the castor fuel produced by them can be used to fire boilers like those used in big schools or institutions such as hospitals or police, prisons or army camps In addition, Biossal aims to review the technical feasibility of turning castor bean waste into briquettes, livestock feed and fertilizer with the technical support of Climate Innovation Center, Kenya. In Singapore, Legend Venture and Home Touch Holding have started a program to develop 3 million acres over the next five years to cultivate castor in China and unnamed southeast Asian countries. In 2011, Legend and Home Touch expect to develop 30,000 acres, as well as find investors and land. 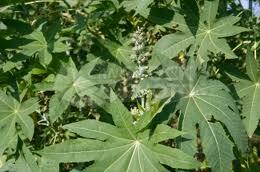 The castor oil is known for its use in lubricants, nylon, paints and soap. While castor oil can be used in biofuels, it has yet to be economically viable in China.